Many schools talk about character. Willow practices it. 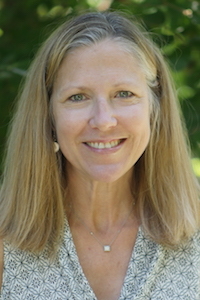 Willow’s unique Virtues Program is embedded into school life and practiced by students, teachers, and staff on a daily basis. Morning Gathering is one of the cornerstones of the Virtues Program. The entire Willow community gathers two times a week to reflect on what is important to us as a community. 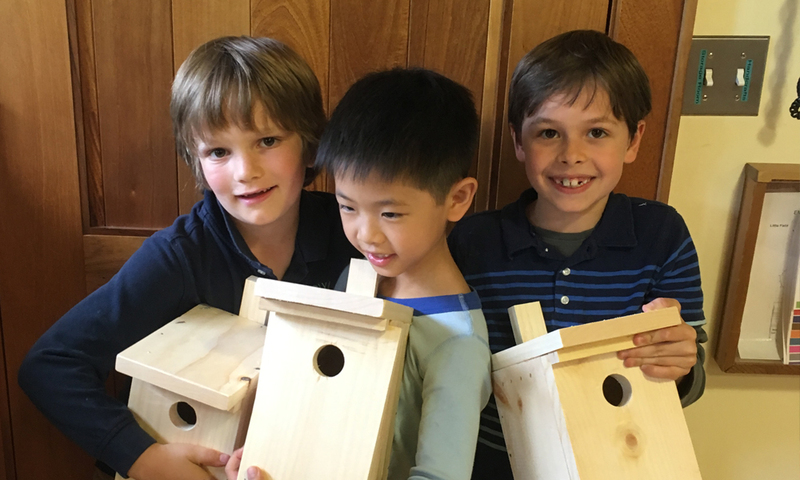 Students in the Lower School hold Morning Gathering four times a week, twice with the entire school community in the Barn and twice with the Lower School in the Library. Student- and teacher-led Morning Gathering presentations are focused on Virtues; exploring their deeper meanings and learning to be mindful of them in our daily interactions. 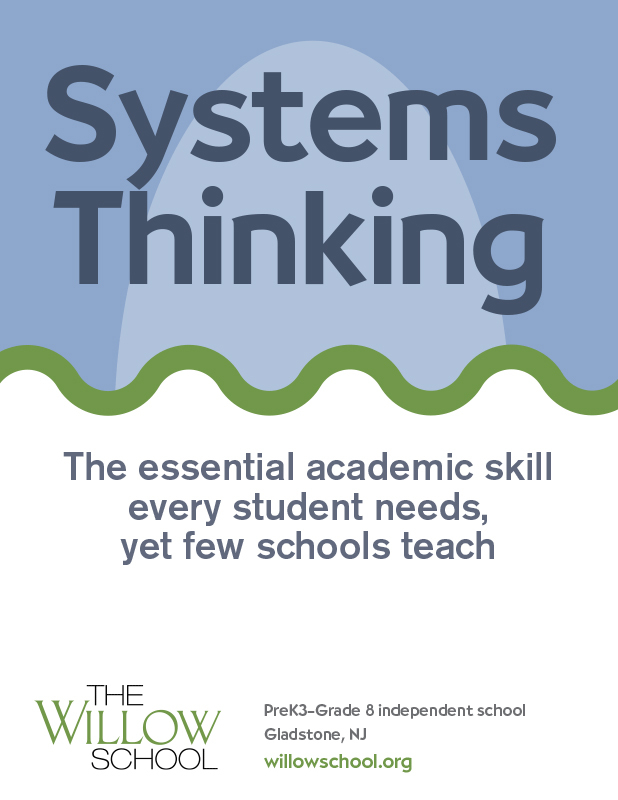 This sets the tone for respectful learning, helps students develop their communication skills and confidence, and establishes a climate of belonging and trust. YOU CAN'T LEARN compassion and empathy from a textbook. 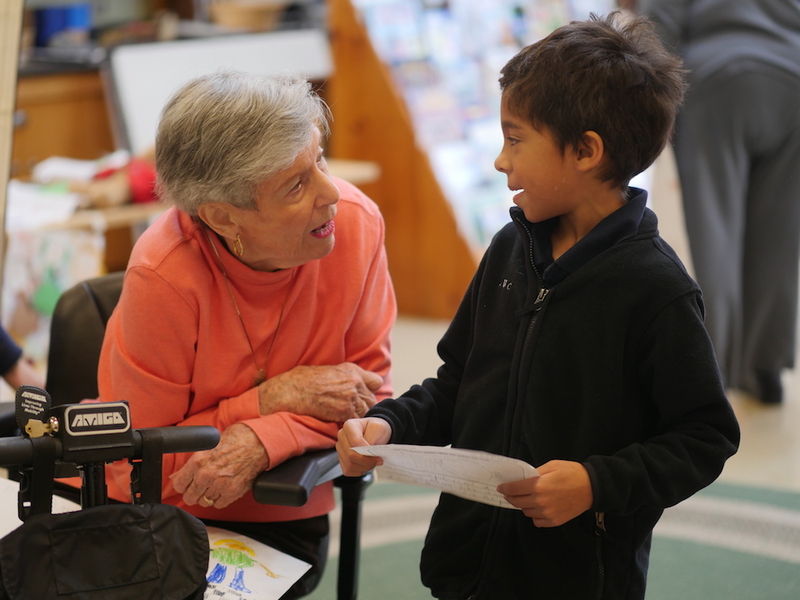 SECOND GRADERS interview and visit with elder friends from Fellowship Village Retirement Community for the service learning project, "Investigating History and Honoring Our Elders." AFTER WILLOW’S FAMILY-STYLE LUNCH, every student knows what to do — complete your assigned cleanup chore! This daily action is one of the many ways the Virtues Program fosters responsibility and respect for others. 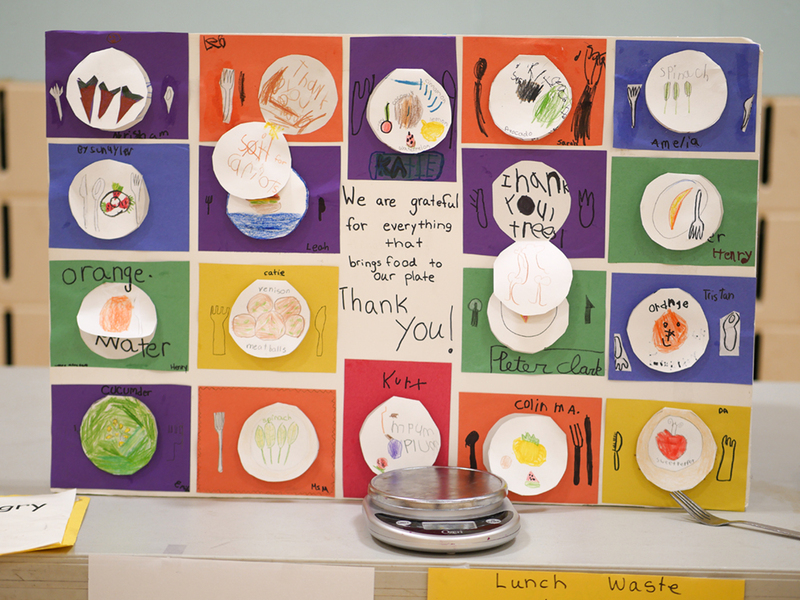 EVERY YEAR, Willow science teacher Miss M and third graders challenge the whole school to reduce waste. Third graders weigh and record compost and trash after lunch for seven days and then set goals to produce less. Third graders are elated by the results! STUDENTS, FACULTY, STAFF, parents and friends participate in a Community Gratitude Project as part of our annual Harvest Soup tradition. 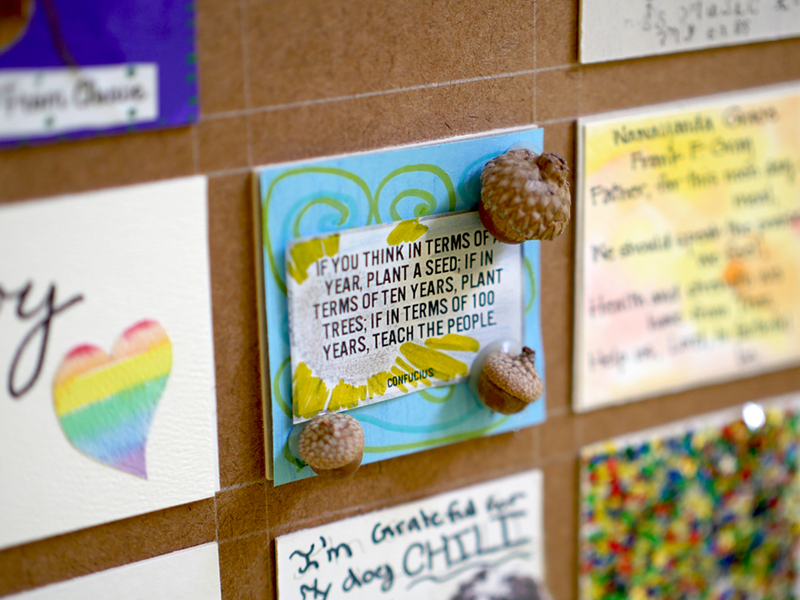 Participants create a tile expressing gratitude that is then displayed as one beautiful mural. WILLOW’S FOURTH GRADERS studied food insecurity and initiated a food drive that involved the entire Willow community. Fourth graders collected over 1,200 donated food items, feeding 30 families for the Thanksgiving holiday weekend. SECOND GRADERS PRACTICE a “compliment sandwich.” The exercise has students provide feedback on an assignment by giving a compliment, suggesting an improvement, and providing another compliment. This is one of the ways Willow students learn to provide honest feedback in a compassionate manner. A FAMOUS NOVELIST said the bravest thing a writer can do is face a blank page. From day one, Willow students are encouraged to take risks in their learning. 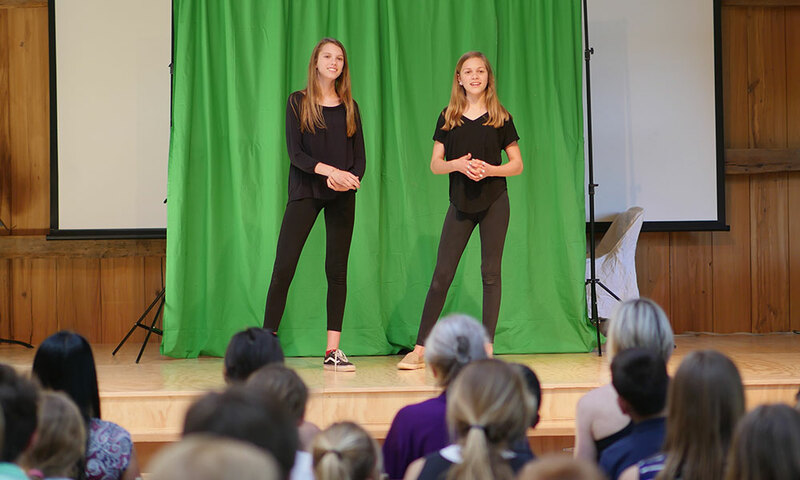 Perhaps that’s why two eighth graders had the courage to write, arrange music, direct and produce an original play involving lower school students. 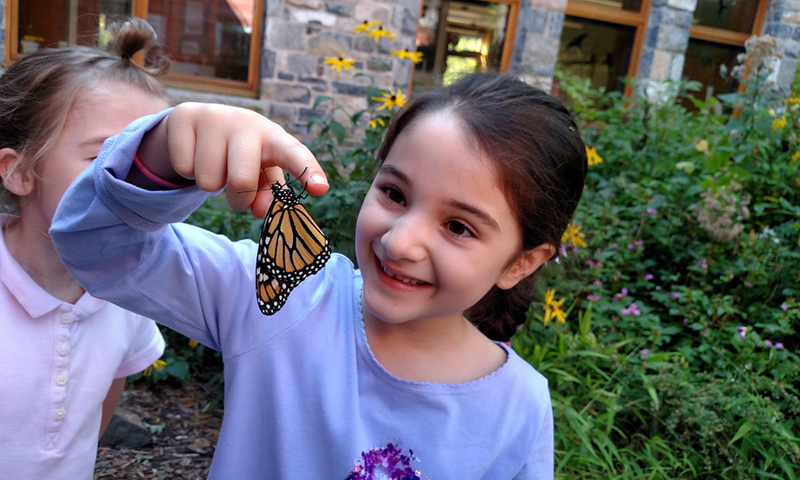 WHAT IS MORE joyful or wondrous than releasing a monarch butterfly? First graders adopt monarch caterpillars and closely track their evolution in science class before releasing them in a school-wide celebration.. IN HANDCRAFTS, Willow students make prudent choices in selecting the right tool for the job. They learn to operate tools safely, and responsibly, which promotes their own wellbeing and that of the group. 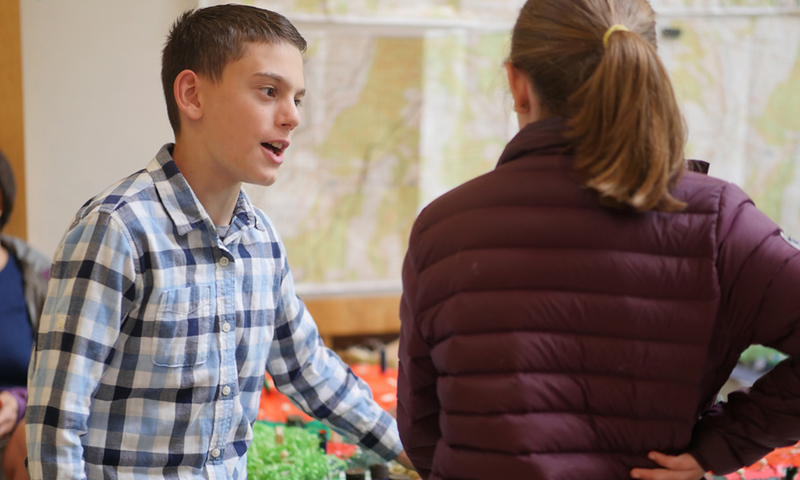 A STUDENT-LED civic engagement project with the Pingry School underscored Willow's faithfulness to sustainability. 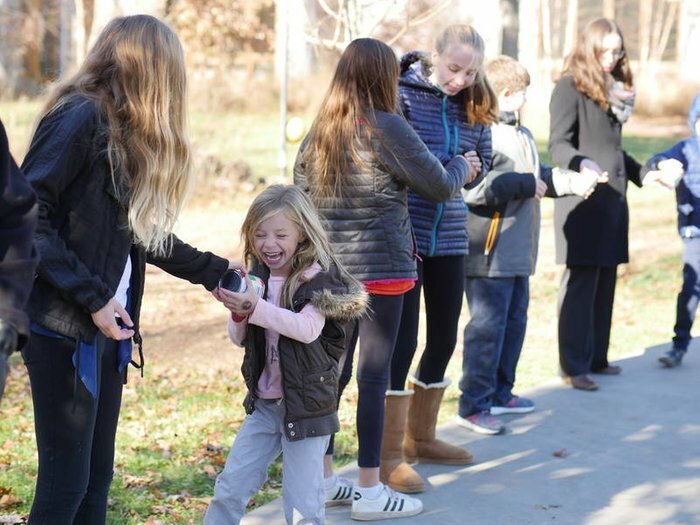 Pingry high schoolers worked with Willow faculty and students to remedy the impact of stormwater and foot traffic on our wooded campus. WILLOW’S FOURTH GRADERS studied food insecurity and initiated a food drive that involved the entire Willow community. Fourth graders collected over 1,200 donated food items, feeding 30 families, for the Thanksgiving holiday weekend. WHAT IS MORE joyful or wondrous than releasing a monarch butterfly? First graders adopt monarch caterpillars and closely track their evolution in science class before releasing them in a school-wide celebration. IN HANDCRAFTS, Willow students make prudent choices in selecting the right tool for the job. They learn to operate tools safely for personal and the group’s well being. A STUDENT-LED civic engagement project with the Pingry School underscored Willow’s faithfulness to sustainability. 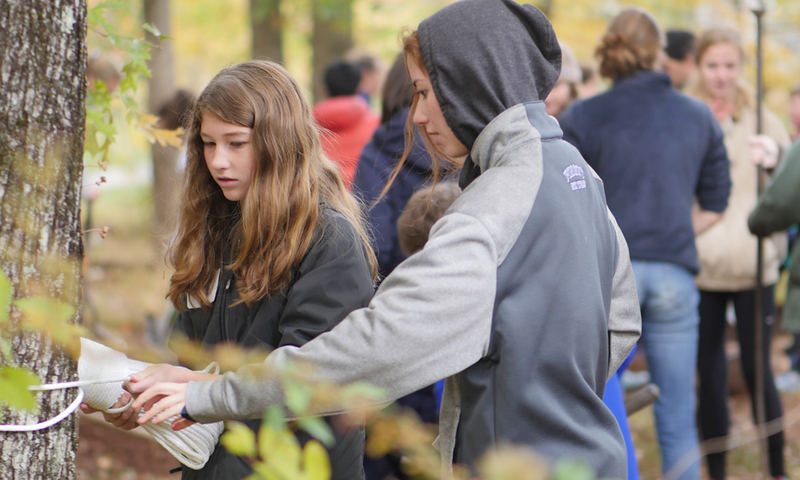 Pingry high schoolers worked with Willow faculty and students to remedy the impact of stormwater and foot traffic on our wooded campus.